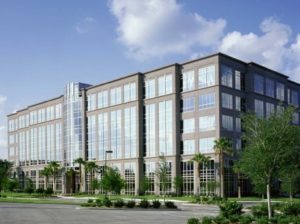 Virtual Office Orlando Lake Mary is located in the northern part of Orlando, this modern office park is situated in the heart of Lake Mary, close to Interstate Road 4 about 40 minutes away from Orlando International Airport. The easy accessible first floor location and surrounding parking is convenient for your clients to visit. Included in all office plans are complementary coffee and soft drink services for you and your customers during the time of usage. The two meeting rooms and private office space can be booked as per your request, as long as you keep your basic virtual office package active. Convenient signup process is possible right over our website or if you have any questions email or call us at 1.866.793.7969, we will gladly assist you. If you prefer to visit the office facilities prior to signup, kindly inquire to schedule a tour with one of our managers at the premises and we will facilitate a meeting for you. Once you have initiated your corporate identity at Virtual Office Orlando Lake Mary, you can easily add on other virtual services, like live telephone answering or usage of virtual assistant time. These are great and affordable features, particularly because they are variable cost determined by the exact time you utilize our staff. Therefore making it a great solution for the client just needing occasional help without having to worry about employee related cost and management.